Michael Scott Matheny (born September 22, 1970) is an American former professional baseball catcher and the current manager of the St. Louis Cardinals of Major League Baseball (MLB), a position he has held since 2012. A product of the University of Michigan, Matheny was selected by the Milwaukee Brewers in the eighth round of the 1991 MLB Draft. He made his MLB debut for the Brewers in 1994 and retired in 2006 with the San Francisco Giants. He also played for the Toronto Blue Jays and Cardinals during his thirteen-year catching career. Though not a prodigious hitter, Matheny was one of the most accomplished defensive catchers of his era, winning four Rawlings Gold Glove Awards. Further, he established major league records among catchers for consecutive games played without committing an error (252), and consecutive chances fielded without an error (1,565). Matheny is one of only three Major League catchers with an errorless season of at least 100 games, and he set a Giants single-season team record in 2005 for catcher's fielding percentage at .999. He retired from playing due to persisting concussion symptoms, and has since become an advocate for its prevention and for improved catcher safety. After his playing career, Matheny coached Little League Baseball. The Cardinals hired him to manage following the 2011 season in spite of having no previous professional experience. In 2015, he became the first manager in MLB history to lead his team to the playoffs in each of his first four seasons, and, in 2014, just the fifth to a League Championship Series appearance in each of his first three. His furthest title claim occurred in 2013, when the Cardinals won the National League pennant, only to fall to the Boston Red Sox in the World Series. Matheny grew up in Reynoldsburg, Ohio, a suburb of Columbus. He graduated from Reynoldsburg High School, where he captained the baseball and football teams. Receiving little attention from nearby Ohio State University, University of Michigan coach Bud Middaugh offered him a scholarship to attend Michigan. Because of his defensive and throwing skills, Matheny drew the notice of major league scouts while in high school. The Toronto Blue Jays drafted him in the 31st round of the 1988 Major League Baseball Draft but waited two days until after the draft ended to inform Matheny they had chosen him. At first, they refused to disclose to him in which round they had selected him. Two days before he was due to attend his first class, Blue Jays general manager Pat Gillick appeared at Matheny's home to convince him to sign. Gillick was ready to offer a deal normally reserved for second-round picks. During that time, teams held the right to negotiate with their draft picks until the moment they entered their first classroom of the following academic year. The Blue Jays constantly called Matheny until the morning of his first class, hoping he would sign. Confounded by the Blue Jays' overtures, Matheny was convinced that he would not be a very good professional player at that point, so he chose to attend college instead. Prior to proceeding to his first class, he called the Blue Jays from his dormitory room to inform them that he decided to attend the University of Michigan. At Michigan, Matheny co-captained the Wolverines baseball team. He was a member of the 1989 Connie Mack championship team. The Milwaukee Brewers selected Matheny in the eighth round of the 1991 Major League Baseball Draft and he spent three years climbing the minor league system. He made his major league debut with the Brewers on April 7, 1994 at the age of 23; he became their starting catcher early in the next season. During a game against the Pittsburgh Pirates on May 26, 1998, Matheny was batting in the bottom of the ninth when he took a pitch from Rich Loiselle off his face. Remaining upright, Matheny placed his hand on his hip as Pirates catcher Jason Kendall and home plate umpire Jerry Crawford motioned wildly for the Brewers trainers. He spat out a mouthful of blood as he walked off the field. At the end of that season, he became eligible for salary arbitration and the Brewers granted him free agency a few months later. Ten years after they drafted him, the Toronto Blue Jays signed on December 23, 1998, for the 1999 season. He served as Darrin Fletcher's understudy. Gillick had resigned in 1994, however. Toronto released him after the season, and he signed with the St. Louis Cardinals on December 15, 1999. Matheny barely made the Cardinals roster after the spring training session, but went on to earn the starting catcher's role in the 2000 season. He posted a career-high .261 batting average and provided exceptional defense for the Cardinals, with a .993 fielding percentage and throwing out 53% of would-be base stealers, well above the league average of 32%. Matheny helped the Cardinals improve from their fourth-place finish in 1999 to capturing the National League Central Division title, and claimed his first Gold Glove award in the process. After the season, the Cardinals signed him to a three-year, $9-million contract. After teammate Darryl Kile's sudden death in the summer of 2002, Matheny showed that he was "an inspirational leader," helping the team to cope and make it to the National League Championship Series. 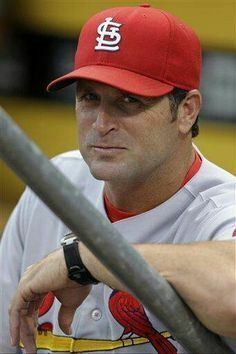 After the 2003 season, the St. Louis and Houston chapters of the BBWAA voted for Matheny as the inaugural winner of an award established in Kile's honor. Bolstering his growing reputation as a top defensive catcher, Matheny again won Gold Gloves with the Cardinals in 2003 and 2004. His defensive contributions helped St. Louis reach the postseason in four of his five years with the team, including claiming the National League pennant in 2004. Between August 1, 2002 and August 4, 2004, Matheny played in 252 games without committing an error, establishing a new Major League record for catchers. Matheny set another Major League record for catchers in 2004 by fielding 1,565 consecutive chances without an error. During his playing days in a Cardinal uniform, Matheny caught 611 games, accumulating 4,938.1 innings and committing just 14 errors. His .997 fielding percentage leads all catchers who have caught at least 2,000 innings for St. Louis. He became a free agent after the 2004 World Series, primarily due to the emergence of rookie catcher Yadier Molina, with whom he would eventually be reunited. Matheny signed a three-year contract with the San Francisco Giants on December 13, 2004. The next season, he displayed a rare power surge, amassing career-highs with 13 home runs, 34 doubles, a .406 slugging percentage and 59 runs batted in (RBIs). Matheny continued his defensive excellence, compiling a team-record .999 fielding percentage and leading National League catchers with 13 double plays, 77 assists and 39 would-be base-stealers caught stealing, earning his fourth Gold Glove. He also took home the Willie Mac Award that year, accorded annually to a San Francisco Giant for spirit and leadership. Matheny landed on the disabled list on May 31, 2006 after a series of foul balls caromed off his mask, resulting in a serious concussion. In July, the Giants announced that he would not return for the remainder of the season and that his career status was in doubt. MLB.com's Giants beat writer, Rich Draper, articulated that Matheny's career was likely over due to continued struggles with post-concussion syndrome. 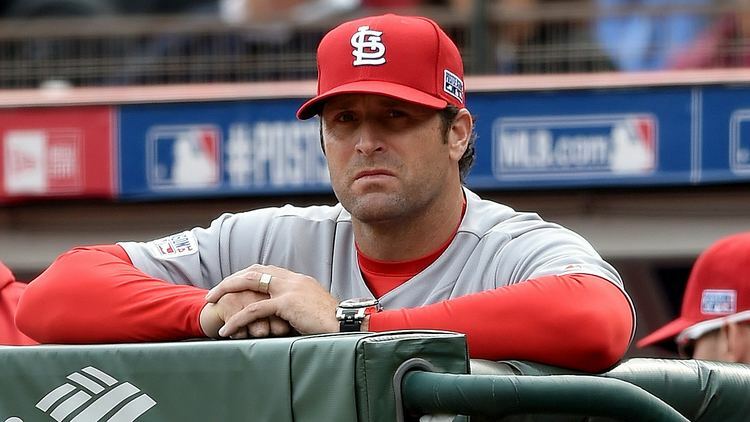 On February 1, 2007, Matheny announced his retirement from Major League Baseball at the age of 35 due to on-going symptoms of post-concussion syndrome. 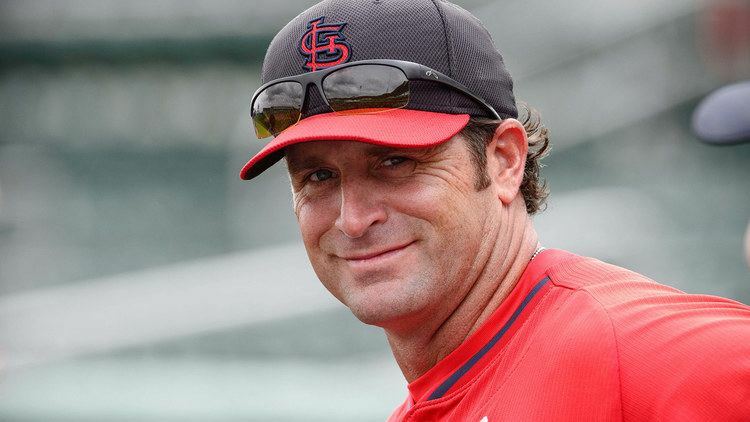 Shortly thereafter, Matheny became a baseball mentor for Protégé Sports and filming some catching tips and drills for the Scottsdale-based company. In his thirteen-year major league career, Matheny played in 1,305 games, accumulating 925 hits in 3,877 at bats for a .239 career batting average along with 67 home runs, 443 RBIs and an on-base percentage of .293. He led National League catchers twice in fielding percentage and ended his career with a .994 average, which was 4 points above the league average during his playing career. His .994 career fielding percentage ranks tenth all-time among Major League catchers. Matheny also twice led National League catchers in baserunners caught stealing. 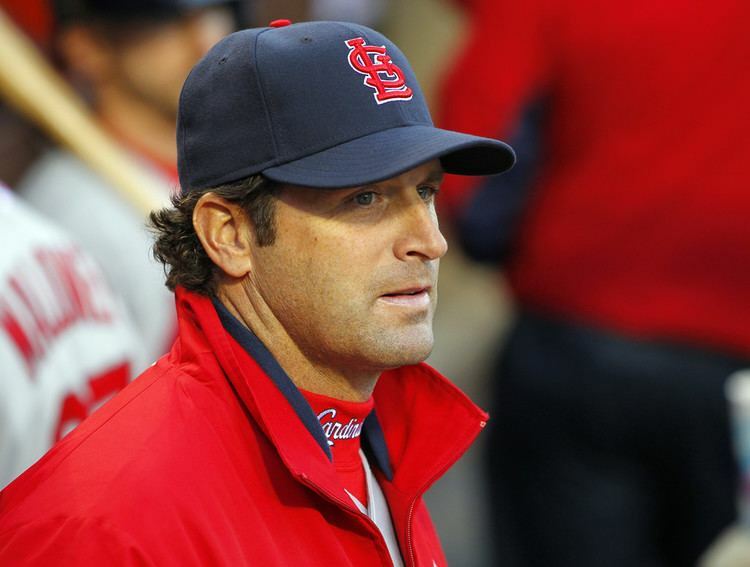 On January 24, 2008, Matheny returned to the St. Louis Cardinals organization as a special adviser for the first two weeks of spring training. They announced him as their new manager on November 14, 2011, following Tony La Russa's retirement, making him the youngest manager in the major leagues. The move was seen as unexpected as Matheny had no prior managing or coaching experience in professional baseball besides that as a minor league instructor. Moreover, he was taking over a team that had just won the World Series and for another manager who was one of the top three achievers in wins for the role in major league history. Matheny's other prior coaching experience included Little League Baseball and other interviewees included Terry Francona, Ryne Sandberg, José Oquendo, Chris Maloney and Joe McEwing, all of whom already had managerial or coaching experience in the major leagues. In spite of the lack of substantial achievement as demonstrated by his competitors, Matheny guided the Cardinals to a winning record and a playoff and NLCS appearance in each of his first three seasons, becoming the fifth manager in major league history to accomplish this. On April 4, 2012, Matheny won in his managerial debut against the Miami Marlins in the first game of their new ballpark. Twenty days later, Matheny was ejected from a game for the first time for arguing a pivotal safe/out call by umpire Bill Welke in the bottom of the 10th inning of a 3-2 loss to the Chicago Cubs. In another contest against the Marlins later that season, a bungled double switch left Matheny with only pitchers available on the bench to pinch hit in extra innings. Incidentally, that pitcher catalyzed a St. Louis victory in his role as a batter. With the score tied 6–6 in the bottom of the ninth inning at Marlins Park on June 25, Matheny presented the action to home plate umpire Bob Davidson to place relief pitcher Víctor Marte in the game for fellow pitcher Sam Freeman. Simultaneously, infielder Tyler Greene substituted for third baseman David Freese, originally batting in the seventh spot in the lineup. Matheny assigned Greene to bat ninth – the order in the lineup which Freeman previously occupied – and play second base. The second baseman already in the game, Daniel Descalso, shifted to third base. Matheny showed Davidson these actions on the lineup card, and, with Davidson looking on, wrote "5" (used to designate the position of the third baseman) next to Descalso's name. When Davidson conveyed the changes to Marlins manager Ozzie Guillén, a communication error transpired. After Marte faced one batter, Guillén vaulted from the Marlins dugout to argue that Marte and first baseman Allen Craig, the number five hitter, "couldn't be on the field at the same time." Despite his effort to oppose Guillén's protest, Davidson ruled for Matheny to remove Craig. He substituted Tony Cruz at first base, erasing two of the Cardinals' top hitters, Craig and Freese, from the game. In the top of the tenth, Marte was due in Craig's fifth spot. With no regular batters remaining, Matheny chose a former college outfielder to bat for Marte, rookie pitcher Joe Kelly. The Cardinals had gained the lead, 7–6, at this point and Kelly batted with the bases loaded and two outs. He beat a ground ball for an infield hit that scored a run – his first major league hit and RBI – and put the Cardinals up 8–6. This run proved to be crucial insurance as Miami's Omar Infante scored on a John Buck single in the bottom of the tenth. Nevertheless, Jason Motte, Kelly's replacement, closed it out for the 8–7 win. Matheny's first season as Cardinals manager was an overall success, finishing the regular season with an 88–74 record en route to capturing the National League wild-card game and qualifying for the postseason. The Giants defeated the Cardinals in the NLCS. On February 14, 2013, the Cardinals picked up Matheny's 2014 option. He surpassed the success of his first season by guiding the club in 2013 a 97–65 record, the best record in the National League and his first National League Central division title. The Cardinals defeated the Pittsburgh Pirates 3–2 in the NLDS and the Los Angeles Dodgers 4–2 in the NLCS for his first NL pennant. The Boston Red Sox defeated the Cardinals in the World Series in six games, as was the case in 2004. With Matheny as the regular catcher, the Red Sox defeated the Cardinals in the World Series after a regular season with the best record in the NL. However, in 2013, St. Louis lost four key players to season-ending injuries – including Chris Carpenter, Rafael Furcal, Jaime García and Jason Motte – rookies comprised half of the World Series pitching staff. On November 20, 2013, the Cardinals extended his contract for three more years through 2017. Making his first All-Star appearance as a major leaguer, Matheny was the National League manager in the 2014 game, which the American League won, 5–3. The Cardinals won the NL Central division title in 2014, their second consecutive title, and third consecutive playoff appearance with Matheny as manager. More trends continued as they eliminated the Dodgers from the playoffs for the second consecutive season, this time in the NLDS. As was the ending in 2012, the Giants eliminated the Cardinals in the NLCS. Tragedy struck to open the 2014–15 off-season when rookie right fielder Oscar Taveras was killed in a car accident in the Dominican Republic on October 26, 2014. Just 10 days after the completion of the NLCS, news outlets reported the incident moments before the first pitch of Game 5 of the World Series. It was the second death of an active Cardinals player during Mantheny's Cardinals career, following Kile's death in 2002. Reports confirmed alcohol intoxication on Taveras' part. General manager John Mozeliak lamented the circumstances, amplifying that the team would take a greater role in instructing young players "to avoid reckless actions." After defeating the Chicago Cubs 10–9 on May 4, 2015, the Cardinals sported an MLB-best 19–6 record, which was the best 25-game start for the club since at least 1900. Having won seven in a row, it established a career high for Matheny. The Cardinals defeated the Cubs again the next game, 7–4, extending the win streak to eight. A 3–1 victory over the Detroit Tigers on May 17, 2015, securing the 300th win of his managerial career. In August 2015, Baseball America published that fellow managers and coaches in the National League rated Matheny the second-best manager in the league. On September 19, the Cardinals became the first team in the majors to advance to the playoffs. Matheny became the first manager in MLB history to guide his club to the postseason in each of his first four full seasons. With an 11–1 win over the Pittsburgh Pirates on September 30, the Cardinals won 100 games for the first time in Matheny's managerial career, while clinching their third consecutive NL Central division title. The Pirates, who had kept close for most of the season, had already won 96 games, while clinching a wild-card berth. However, the Cubs, the second wild card entrant, defeated the Cardinals in the NLDS in four games. Matheny finished second in the NL Manager of the Year Award voting, and a co-winner of the J. G. Taylor Spink St. Louis Baseball Man of the Year Award. On May 27, 2016, Matheny gained his 400th career win in a 6–2 defeat of the Washington Nationals. In 2016 Matheny's contract was extended to 2022. As of games played on June 12, 2017. Because the Cardinals had hired Matheny as manager following the 2011 season, questions surfaced as to whether this personnel move had been a savvy one, particularly because he succeeded a World Series-winning manager of 33 years in La Russa. 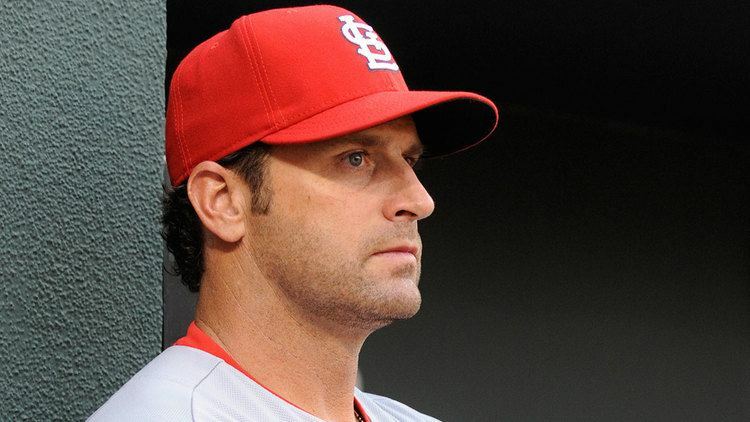 Matheny had never been a full-time coach or manager in any capacity in professional baseball. However, he was hired because of his ties to the organization during his playing days, as well as for intangible qualities such as his presence as a leader. He became known as one who lends support rather than lists his players' flaws, especially with the media. Fans and media have questioned his tactical skills, but, due to his experience playing a position (catcher) that imputes the requirement for leadership, it further increased his potential as an effective managerial figure. However, with the success of his first two seasons, it became apparent Matheny was a good choice to manage the Cardinals. Said former Cardinal and veteran Lance Berkman, "People make a big deal out of not having coached or managed. ... You can take a guy with no people skills, no leadership ability, let him manage in the minor leagues for 20 years, and he'll never be ready to manage at the major league level. And you can take a guy that has all of the intangibles, put him in the big leagues, and he can be a Hall of Fame manager." Matheny subscribes to the theory of servant leadership, one central tenet of which is to be accessible, and to enable one's subordinates to flourish by setting an example and inspiring rather than through scolding them. In one of his blogs, Matheny posed a question to parents of youth baseball players about whether yelling at their children was helping them to improve. Well before becoming manager, Matheny queried corporate executives not connected with baseball on leadership topics. Matheny is also known to regularly stay in contact with his players. The Cardinals' hiring of Matheny – a former catcher lacking in professional managing or coaching experience, but one whose leadership qualities had long been apparent – was repeatedly regarded as a reference point for the Detroit Tigers' hiring of Brad Ausmus for their managerial position late in 2013. Similarly, Ausmus replaced a legendary manager in Jim Leyland. Matheny is married to his wife, Kristen. Kristen Matheny is a former field hockey player at Michigan. The couple have five children: one daughter, Katie, and four sons, Michael "Tate", Luke, Jacob and Blaise. Tate played college baseball at Missouri State University and was drafted by the Boston Red Sox in the 4th round of the 2015 MLB Draft. Daughter Katie plays hockey at Ohio State. Son Luke pitches at Oklahoma State University. Matheny majored in sports management and communications with an emphasis in Spanish. Matheny routinely chronicles his life experiences and maintains a blog of which topics includes leadership and changing the culture of youth sports. He is a Christian, and has spoken about his faith, saying, "... Jesus Christ is at the center of my life. [My faith is] all that I am, every day, every decision that I make." He has been known to add a verse from the Bible to his autographs. Under his name, he includes either "John 3:16" or "John 3:17." Matheny organized and created the Catch-22 charity (named for his playing position and uniform number) which donated tickets for Cardinals games between 2002 and 2004. In 2005, Matheny opened a "Catch 22" field at the Chesterfield Valley Athletic complex in Chesterfield, Missouri. The field has a completely flat and firm rubber surface and other features to allow children with a wide array of physical and mental handicaps to participate. The aftermath of unprofitable real estate transactions left Matheny heavily in debt. In 2005, Matheny had founded MPD Partnership with two indoor soccer players, Daryl Doran and Brett Phillips. This venture proved successful as they purchased a block of the WingHaven Develop in St. Charles and gained a $2.4 million profit after six months. Doran separated from the partnership to start a gym. Matheny and Phillips then used the income to secure an $11.8 million loan for an eleven-acre tract near Interstate 64. He lost a 17-room house in Wildwood, Missouri, following insolvency on two commercial plots in near Chesterfield Valley. These plots did not sustain tenants and the value deflated after the financial crisis of 2007–08. His debts exceed $4 million and the amount of liability depended on the outcome of lawsuits involving the defaulted loans. Matheny's attorney, Robert Blitz, is handling a similar case: Fischer and Frichtel, a homebuilder who also defaulted on assets after sustaining losses over the same time period, contends that they should not be fully liable for what is termed as "deflationary debt." The St. Louis appellate court deferred the case to the Supreme Court of Missouri. In January 2013, a circuit court ruling determined that the Matheny partnership owed The Business Bank of St. Louis $4.4 million despite economic conditions and the bank's decision to stop loaning money to Matheny.